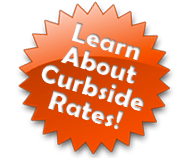 An inexpensive contractor company can take care of all your trash removal needs. These companies have the manpower and the equipment that are needed for safe and secure trash removal from your property, which means that you don’t need any other tools or workers. Student Works Disposal, for example, is a company that supports local students by hiring them. Not only does this translate into cheaper junk removal for you, but it also means that you are helping students avail higher education. Student Works Disposal crew members also clean up after they are done, enabling you to save on cleaning costs as well. If you feel young and energetic, may be you would like to rent a mini bin dumpster and take the DIY trash removal approach. If you do some of your own trash removal, as DIY trash removal, this activity would be a lot cheaper for you. 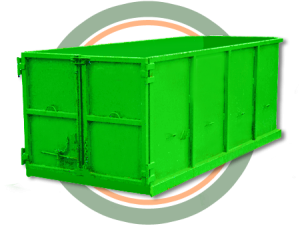 Student Works Disposal allows you to do your own dumpster rentals that start at very affordable prices. We have bins of all sizes so we can accommodate all your garbage. What is now useless for you may be very handy for someone else. Instead of dumping all your trash in landfill sites, you might want to give it off to charity so that it can help someone in need. Student Works Disposal makes sure that any of your trash that can be reused ends up in the right hands. Better yet, they also help you recycle your garbage. Vancouver trash removal was never this green. To learn more on how Student Works Disposal can help you save money, call Student Works Disposal today at 778-288-8009!